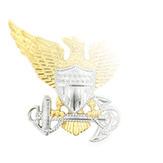 All five branches of the Armed Forces of the United States use a gold oak leaf as the insignia for commissioned officers in the O-4 grade, but only the Navy, Marine Corps, and Coast Guard display it on the collars of some uniforms. And while the Lieutenant Commanders in the Navy and Coast Guard share the same collar grade insignia as Majors in the Marine Corps, the latter is considered a “field grade officer” while the former are designated as “junior officers” and possess decidedly less command authority. 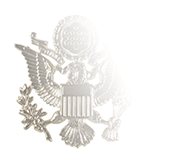 The same sized oak leaf is also used as a headgear insignia in these three branches of the Armed Forces of the United States; it is worn on the right side of Garrison Caps (issued by all three services) and on the front of ball caps (Navy and Coast Guard). 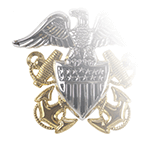 In the Navy, the only uniform for which the Lieutenant Commander collar grade insignia is authorized is the Khaki Service. Line Officers wear this insignia of grade on both collar points of the short-sleeve khaki shirt, while Staff Officers wear it on the right collar point (their Corps devices are worn on the left collar point). Coast Guard regulations call for the wear of collar insignia on Winter Dress Blue uniform, as well as Coast Guard Band uniforms (both Dress and Ceremonial Uniforms). 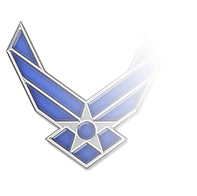 Wear of the collar grade insignia is permitted on the light blue shirt worn with the Service Dress Blue uniform if the wearer has permission to remove the Service Dress jacket while working in an office environment. 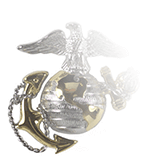 Marine Corps Majors wear collar grade insignia on both points of khakis shirts and on the collars of the utility (including Marine Corps Combat Utility) and camouflage maternity coats. Collar insignia are also mandatory for Officers wearing the Service “A” uniform. Commanders may pre-scribe draw-brown versions of the Major’s oak leaf insignia in place of the standard gold-colored insignia (black versions are used in lieu of silver grade insignia).